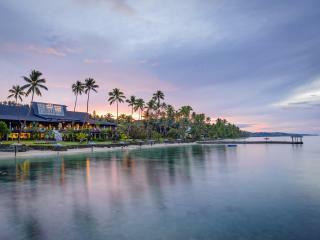 The Shangri-La's Fijian Resort and Spa is set in a stunning tropical oasis on its very own 109 acre island, connected to the mainland of Viti Levu by a causeway. 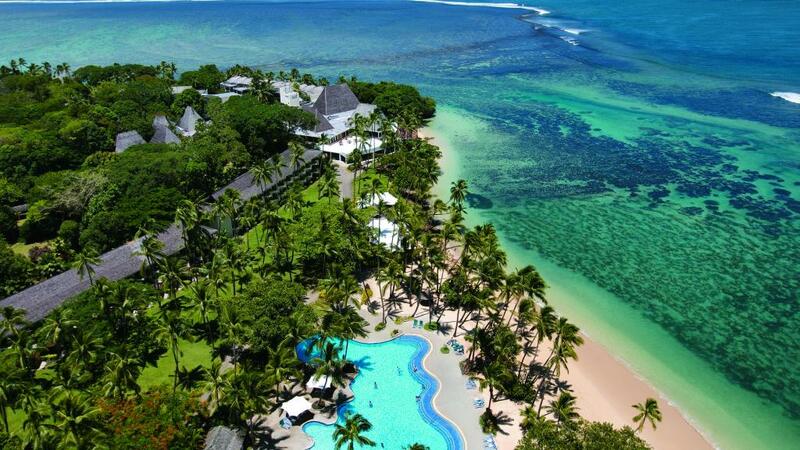 This Fiji accommodation features a lush lagoon with abundant coral and marine life, green tropical gardens, pristine beaches and spectacular ocean views making it a true Fiji holiday favourite. 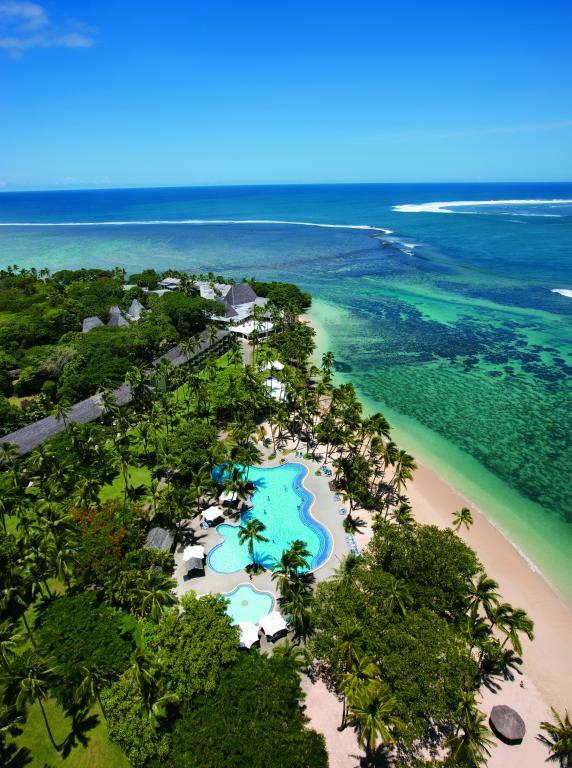 Just 45 minutes from Nadi's International Airport, Shangri-La's Fijian Resort and Spa is off the main island of Fiji's Coral Coast. 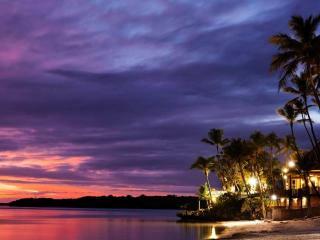 With a layout influenced by traditional Fijian villages, the resort reflects an authentic Fiji island experience. Each room either faces the sheltered lagoon or open ocean with garden or water views. There is so much to see and do with a range of activities on offer including jet skiing, banana boat rides, snorkelling and kayaking. Even the kids will be kept busy with the complementary Little Chief's Kids Club, a children's pool and kids play areas and waterpark. 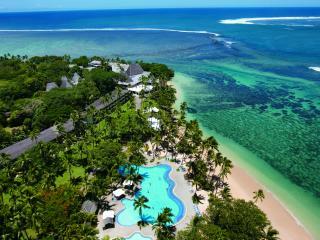 The adults will also enjoy the onsite day spa with the biggest and most luxurious spa suites found in Fiji. The Chi Spa has two rainforest bures and four ocean treatment bures to relax and pamper you while staying at Shangri-La's Fijian Resort and Spa. Reef Rooms welcome adults only (17 years and above). 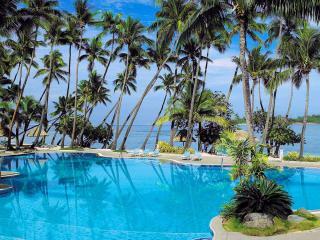 Located in a quieter, more private end of the resort. *Please note that restaurant programmes and opening hours may change from time to time, depending on seasons and resort occupancies. The Shangri-La's Fijian Resort features a 9-hole executive golf course designed by famous Australian championship golfer Peter Thompson. Perfect for the golfing fanatic who can't go without or for the curious holiday maker willing to give it a go. Free Kids Club: Open daily, kids aged 4 - 12 years will love the complementary Little Chief's Club. Activities are designed for two different age groups, 4 - 7 years and 8 - 12 years and during peak periods, an additional program operates for 13 - 17 year olds. A range of fun activities will keep the kid's busy while under the safety and supervision of the resort's friendly staff. Children 3 years and under must be accompanied by an adult guardian. Babysitting available for approximately F$24 (minimum 3 hours/F$7 per hour thereafter). A maximum of 3 children per babysitter. Prices subject to change. Your special day at Shangri-La's Fijian Resort and Spa is made extra special by dedicated staff and the stunning venues available for your wedding service. There are a range of breathtaking and romantic outdoor settings or for a more traditional venue, the seaside wedding chapel makes a gorgeous scene to exchange vows. The chapel seats up to 40 people and the altar features a glass wall and ceiling providing panoramic views of the coral reefs and crystal waters of the Pacific Ocean. Packages are also available for couples wishing to renew their vows. Ratings are averaged based on 538 reviews. We thoroughly enjoyed our stay , great accommodation with beautiful views, very relaxing . I loved the guided off site bike tour, & the guided around the Island kayak tour with "Moses". Love the outdoor pools & the "Fire Dancing Show",. riding , if it was free. All the staff were super polite & friendly, the cleaning staff, the restaurant staff , grounds staff etc. Thank you for a fantastic holiday. We would recommend Shangri-La resort to anyone & we will certainly consider coming again ! We have returned to the shangri la after 8yrs and found it to just as gorgeous as before. It was a little tired but the restaurants amazing. Good value food. And great entertainment. Service was great. We would go back. This is our second time to your Resort. Very child Friendly. Love everything about your Resort. We love the Animal towels on our bed everyday. We always looked forward to see what would be on our bed. Plus the heart made out of shell necklace. Everyone on your staff is so friendly and helpful. Loved the cocktails and food. Breakfast time is awesome. 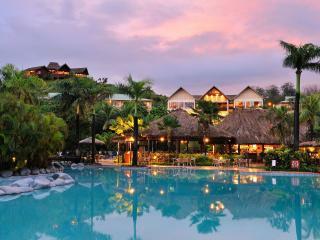 Just LOVE LOVE your resort.